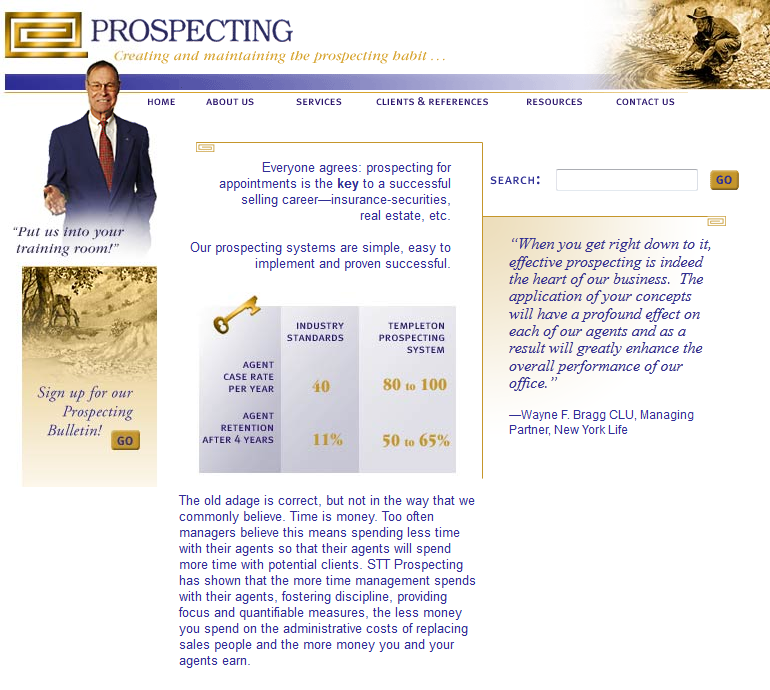 The great majority of businesses these days need something more than a static brochure site. However there are many reasons to go no further than a brochure site. 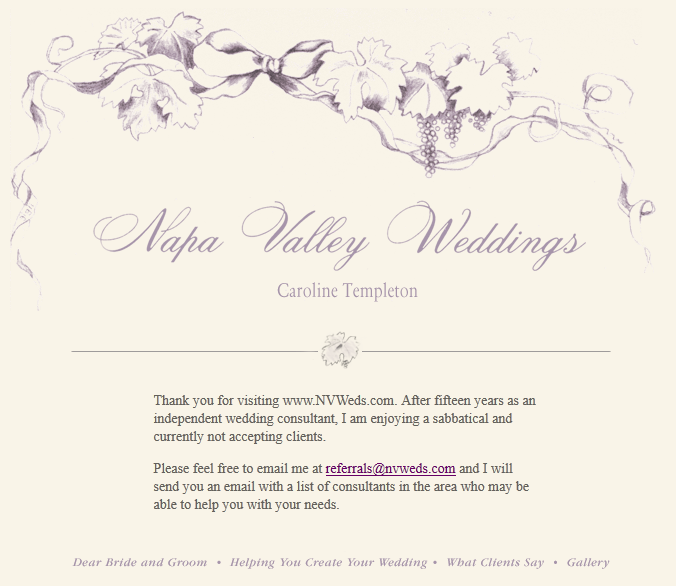 We have done a variety sites like this and offer you the following examples. These sites show the range of design and it's importance in motivating the visitor to take the next step. From the beauty of nature, to pen on paper, to key facts and figures, good, simple and elegant design is critical.
" I just had time to check out the website for the first time. Wow!! Classy and nice! Bravo! Thank you so so much!" 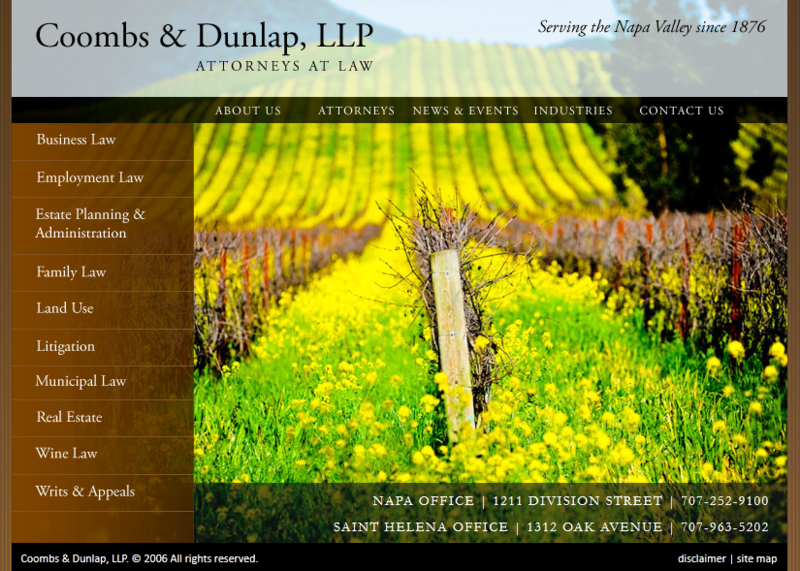 Overview - Coombs & Dunlap need to bring their old fashioned website into the new century. 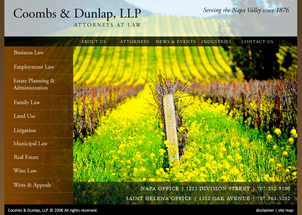 We work with them to provide a site that does an outstanding job of being inviting as well as educational. Note that on this site we listed practice areas on the left and the main navigation on the right. This was critically important from a visitor's perspective that needs to find what they are looking for quickly. 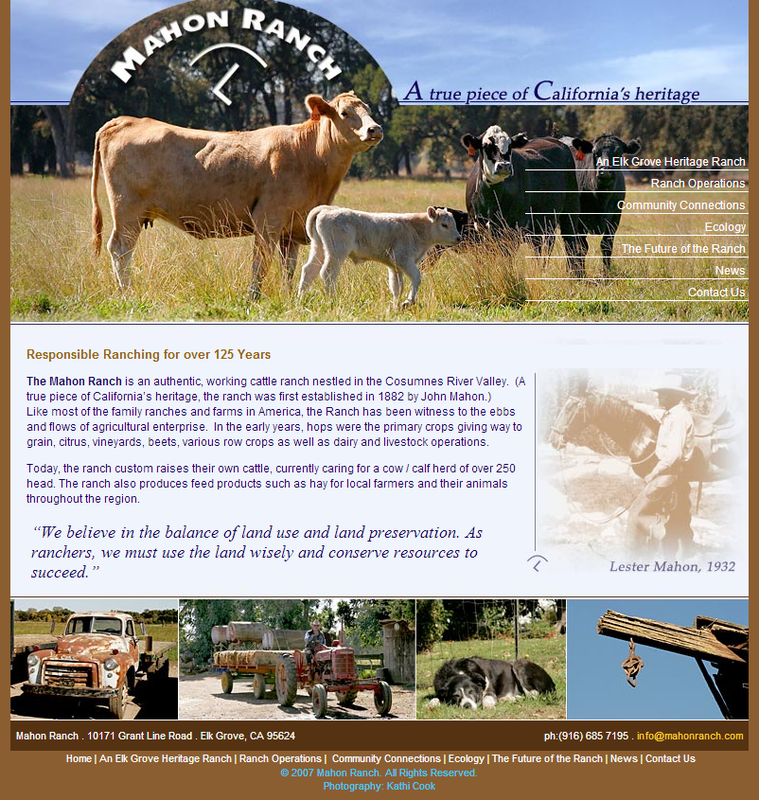 Overview - Mahon Ranch, a third-generation working ranch, needed to provide an understanding of the importance of the balance between land use and land preservation. 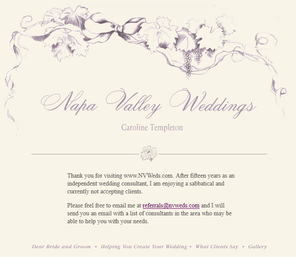 Overview - Napa Valley weddings wanted a very simple site that would connect with the bride, groom and their family. Overview - Sales Training Techniques needed a site with a minimum amount of design and functionality... the essence of a brochure website.